dabl Ltd, a globally recognised provider of Centralised Blood Pressure Data Management Systems for Clinical Trials, announces it is certified under ISO 9001: 2015. This certification to ISO 9001:2105 will provide additional assurance to our customers that we are focused on continuous improvement. In any company, the road to certification requires time and commitment. First of all we evaluated our existing procedures. These are now aligned with the new requirements. 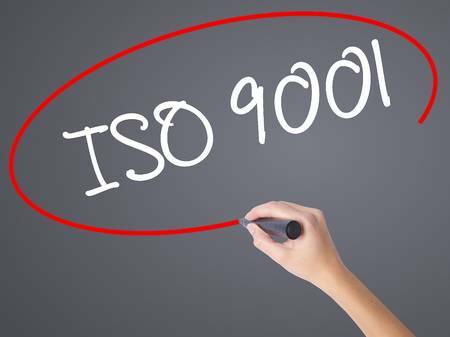 Existing documentation and procedures are already well established and compliant with ISO 9001:2008. Then, slight changes were carried out to make to the Quality Manual and overall Processes and Procedures compliant with the new standards. dabl completed a transition audit from ISO 9001:2008 to ISO 9001:2015 in July 2018. “This is a very important achievement for the company therefore it is to the credit of all the team that we are officially certified. dabl blood pressure data management systems are deployed in global clinical trials and are recognised as gold standard. ”, says dabl CEO, William Rickard.